feature a drive thru and offer convenient access from Homer Road and Goode Avenue. Construction is expected to be complete by mid-October. COMVEST Properties, LLC, a commercial real estate development company based in Biloxi, Mississippi, is the owner and developer of the site. This year COMVEST is celebrating its 10th Anniversary and the Minden location is the 8thWalgreens the company has developed. Other Louisiana locations developed by COMVEST include sites in Shreveport, Lake Charles, Sulphur, Scott and Carencro. 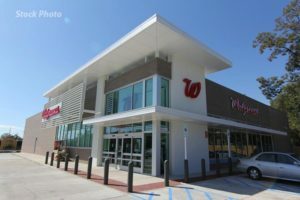 Walgreens is among the fastest growing retailers in the country with 8,071 locations as of February 2013 throughout the U.S. and Puerto Rico. Walgreens provides convenient, multi-channel access to goods and services, as well as pharmacy, health and wellness services. The parish seat of Webster Parish, Minden is located twenty-eight miles east of Shreveport, LA. Minden is the principal city of the Minden Metropolitan Statistical Area, which is part of the larger Shreveport-Bossier City-Minden Combined Statistical Area. Top industries providing employment in Webster Parish are education, health, and social services, manufacturing, retail trade and construction.